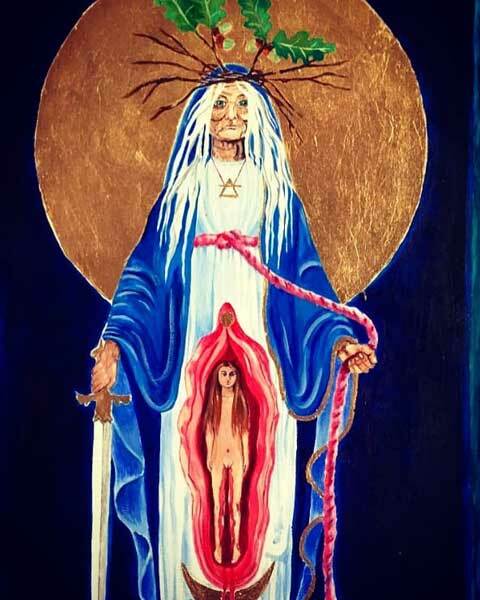 A pathway of awakening for our modern times rooted in the ancient Feminine Mystery Schools. 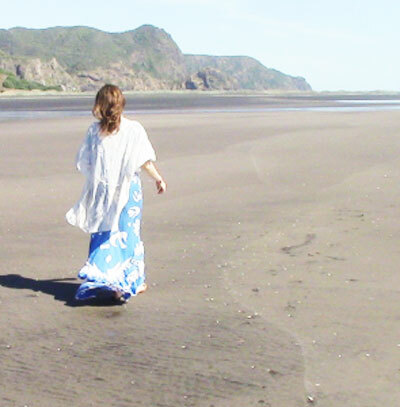 The one year, advanced level online training for the facilitation of Sacred Women’s Circles. A comprehensive programme that will take you on a journey of healing, transformation and embodiment of Feminine power and leadership for yourself and others. Connect with your own safe, sacred space & learn how to hold that kind of space for others. The world is hungry for feminine honouring spaces and we have the power to create these ourselves. Right on our doorstep. Discover your own inner wisdom and create pathways for women in your circles to find theirs. Recover the wild feminine in your body. 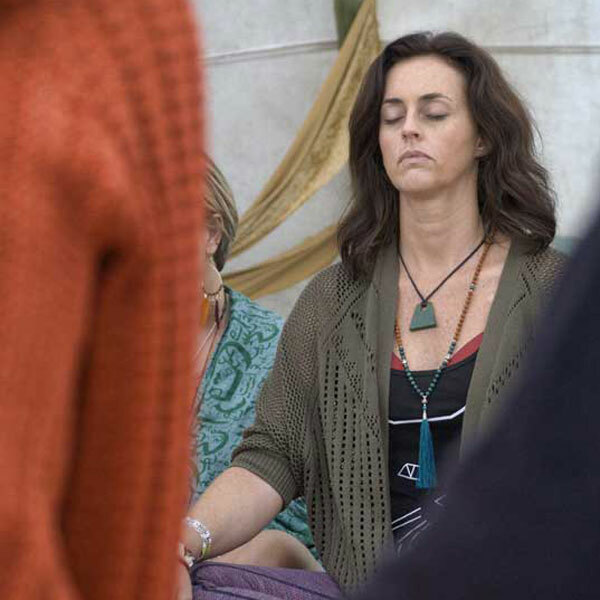 Integrate and apply your learning fully by actually facilitating one women’s circle for each module (nine in total), embodying personal feminine wisdom and discovering inner mystical worlds through the circle work itself. Do you feel a Call to work with women in your community, creating beautiful sacred circles and re-awakening Feminine Spirituality? Have you been through pain on your feminine journey, and you know that in our wounds and painful experiences often lie our greatest teachers? Would you like to deepen your connection with the Feminine and create an additional stream of income through powerful women’s circles, because you know that this is deeply valuable work in the world? Are you noticing the need to change the story of feminine wounding and bringing about ancestral healing? Do you wish to connect more fully with your inner feminine essence? Is your body crying out to you to create more feminine honouring and sacred space in your life? 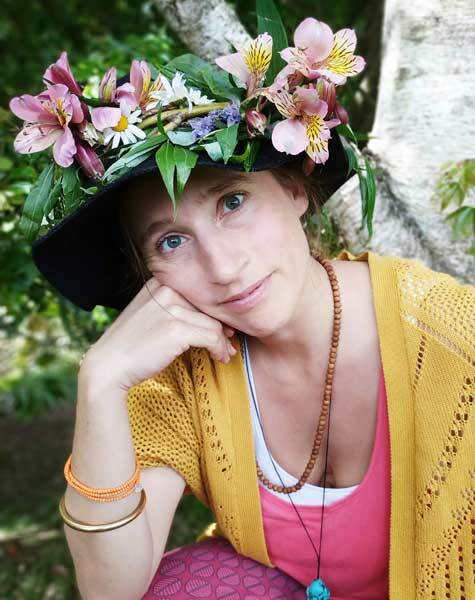 Instead of being on solo journeys many women today feel called to sharing the challenges and personal growing journeys of the current feminine awakening in a circle with others. 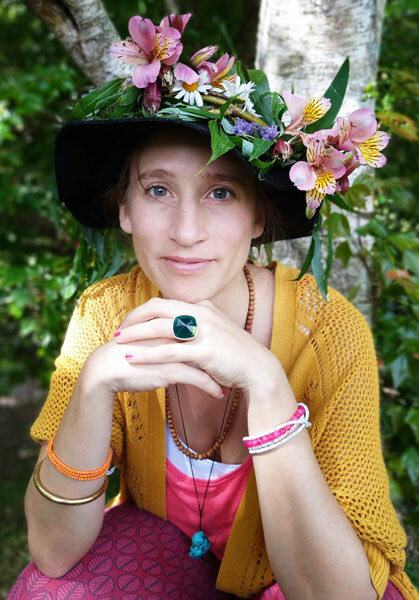 Sacred Rose is the grassroots training programme in The Women School – to create connection and bring feminine wisdom back into our lives and plant seeds of light in our world. Learn how to hold space for other women in these intensely awakening times of the Feminine, and create powerful, transformational women circles in your community. At The Women School, we offer the most comprehensive and in-depth training possible for dedicated sacred women’s circle facilitation and we continue developing these resources all the time. What does the Sacred Rose symbolise? The rose has long been considered as the western equivalent of the eastern lotus as a symbol of the unfolding of higher consciousness, and is dedicated to the Great Goddess. We learn in tribe. We grow in tribe. We heal as a collective. Would you like to join the Sacred Rose Initiations Training? The second step is scheduling an online call with Jaguar to answer any questions you may have! Interested in Sacred Rose Initiations Training? Please fill in the form below. I feel so connected to my femininity. It’s like a mantel of protection of and for all women throughout all the times and ages. Melissa, U.S.A.
Comprehensive manuscripts (more than 175 pages total, each module beautifully written and presented) with course material, personal inspiration and full Circle Outline. 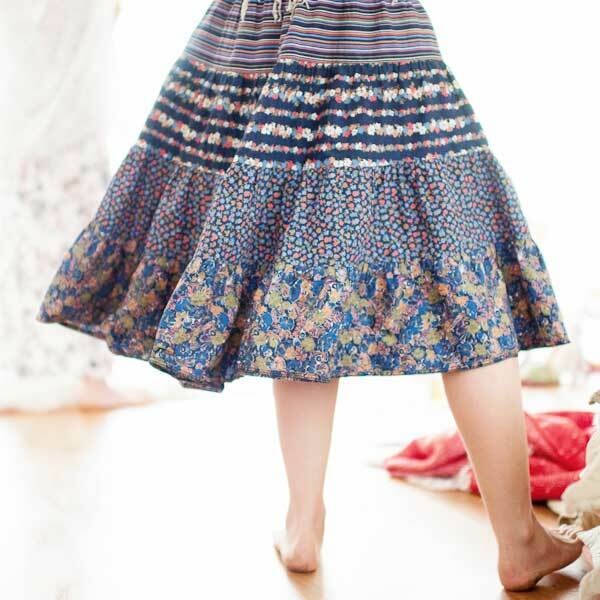 Beautiful and powerful circle pathways especially formulated for women’s awakening. You will have everything you need for your circle facilitation. In depth online course material (video and audio, more than 500 minutes of videos and over 70 audio journeys), preparation for each circle topic and personal growth support. MP3 files are fully downloadable so you can listen to them offline whenever you wish! Bonus specialised music and songs. In depth inner exploration and discovery. The Modules are rich with material, that you will find beneficial for years to come, as you continue to grow into the sacred circle work! You will find yourself coming back to these resources time and again. ADDITIONAL Regular LIVE Online Group module calls with Jaguar: Reflecting on the last Circle, preparing the next Circle and Q&A session (audio recording provided if you miss the meeting), plus special Individual Online Calls (all included in the pricing of the training). We are in our 4th year of training and you will be joining a beautiful, international community of Sacred Rose facilitarixes, whom you can connect with and even meet if you happen to live near each other! 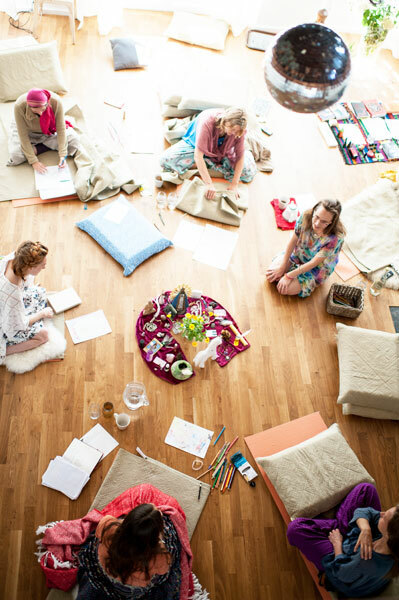 You’d love to facilitate deeper women’s workshops and even retreats in the future – and want inspiration for it! You just KNOW this is for you! For any woman who is feeling the pull to hold circles, I would highly recommend this course, it has not only helped me explore my own femaleness in a much more profound and serious way but it has also given me a strong and beautiful purpose each month, a commitment and a structure that has given me confidence and strength for what I’m doing. Jaguar is deeply connected and committed to sacred feminine work. Ground yourself into the Mysteries of the Feminine - Heal yourself through unconditional love. “The rumble of the Earth is shaking us. And in her depths lie the keys to our remembering. We retrieve our wisdom within our circles. “The kind of magic I am talking about is radical blood – earth – tears magic. The kind that wakes us up from inside out. 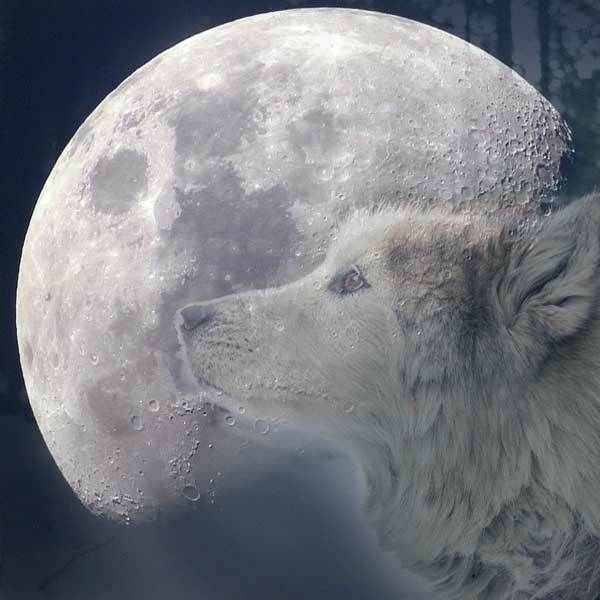 My name is Jaguar and I am the main teacher of the Sacred Rose Circle Training. The roots of this work are vast, both from the perspective of our ancestral lineage and our own personal soul journeys. Learning from external sources is very important, but even more important is the expansive and powerful field we can access within ourselves. The merging of these dimensions is what I make available in The Women School programmes because each one of us holds highly individual and unique keys within as a personal contribution to this work. It’s a joy to support and accompany you in this very magical year! I have been working with women around the world in many ways as a therapist, bodyworker, coach, doula, healer, ritual maker, Midwife of the Soul and educator/teacher/mentor for most of my life. I share from 15 years of personal and professional experience of being deeply engaged in these intimate feminine worlds. This training is all about delving into mystical knowledge that has been shadowed for a very long time. My life path has led me to uncovering and retrieving the esoteric essence of feminine mystical ways. The principles of feminine rites of passage, like a red thread woven into the fabric of life, runs deep in our bones and in the world, waiting to be honoured and upheld again. 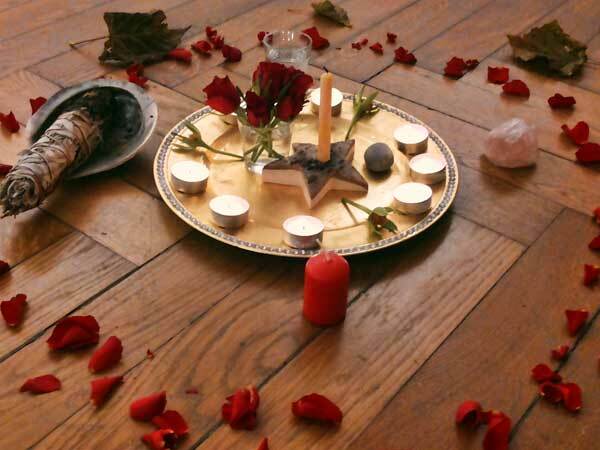 In Sacred Rose Circle Initiations, we connect inner and outer pathways of learning and growth for a truly holistic experience. 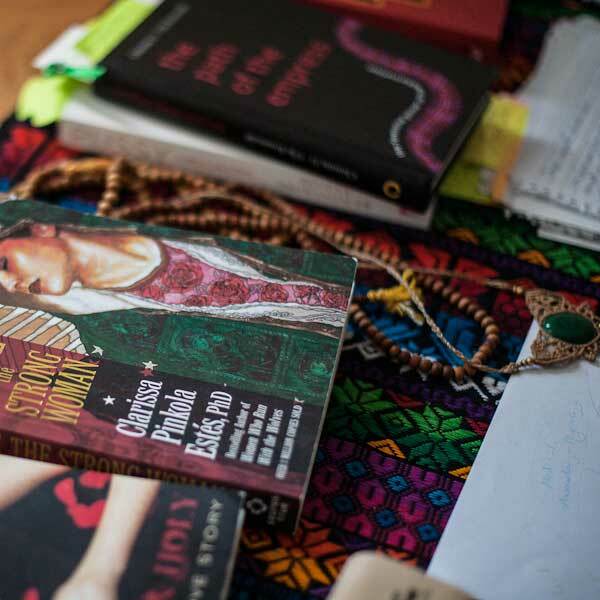 We honour every woman’s own path, background and expression as we draw from stories, embodiment practices and pillars of inner journey to find modern application for this sacred work. Born in New Zealand with an ancestral lineage of European and indigenous South American descent; studying and learning across the world, my influences have been global and collective in nature, based on women’s experiences. The power of this year-long Training lies in the combination of inner personal initiations and growth, information, comprehensive outlines, detailed structure, and in-depth support. 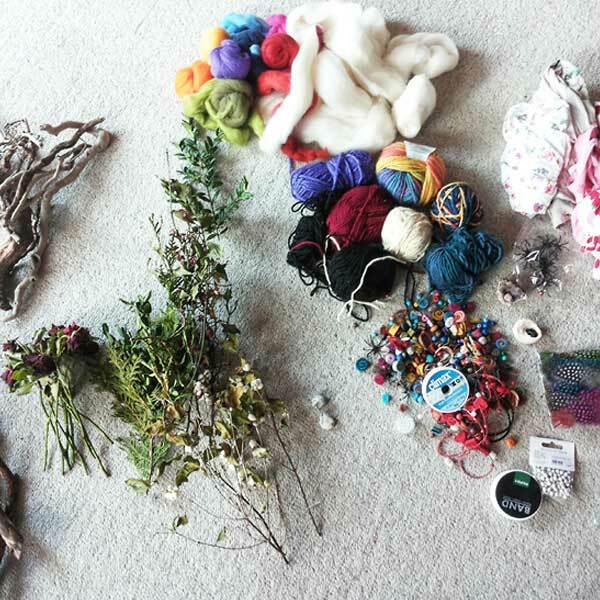 You will be actively engaging in sacred circle creation on a regular basis! The Sacred Rose Circles are designed in such a way as to facilitate holistic learning – externally and internally, through the physical and through the spiritual. The structure is such that in leading the Sacred Rose Circle, the circle itself teaches you from its own centre. You will master the process by holding 9 Sacred Rose Circles during the training. Body, Soul, Sensuality, Mystery, Meditation, Movement, Creativity, Earth Wisdom. Are you interested in Sacred Rose Initiations Training? Please fill in the form below. “Your body is one of your greatest teachers. We become guardians of something so old and ancient, as perhaps the Earth itself. You learn to create your own inner medicine … and support others to do the same. Your intuition will be the internal drum beat of each one of your circles. Together, we will move mountains in our world. A year dedicated to your inner awakening and soul growth. “A trembling in the stars created you and that cosmic spark is like a vast universe in every one of your cells. 100€ registration fee + 12 instalments of 100 € over a 12 months period. Early bird (until the 1st of November): 40NZD registration fee + 12 instalments of 170 NZD over a 12 months period. From the 1st of November onward: 40NZD registration fee + 12 instalments of 180 NZD over a 12 months period. Partial sponsorship available for women between the ages of 18 and 24. Contact us for more information. Get in touch to view our full registration form. 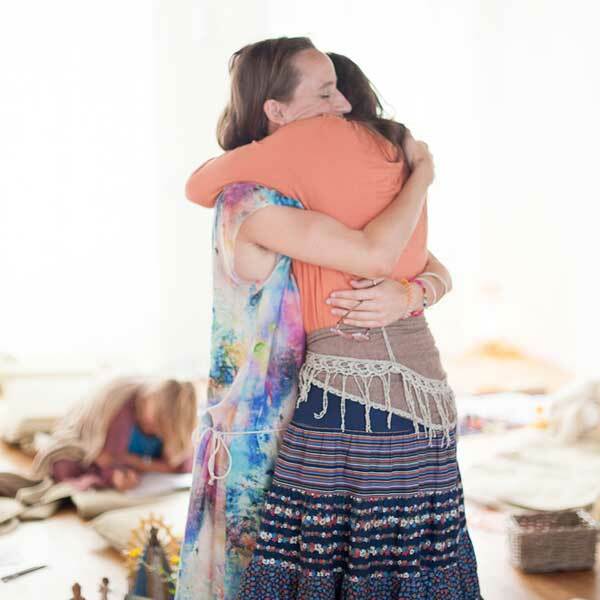 We are still at the beginning of truly re-integrating sacred women circles in our world, and this training is part of giving that path the full attention, inner growth and personal embodiment that it deserves. The Women School is creating and providing comprehensive, feminine centred professional pathways steeped in female wisdom, for those women whose true vocation is the deep feminine work of the future… and of today. We aim at building an environment that values and honours feminine personal, spiritual and professional pathways, creating a new paradigm in which they are fully recognised. It’s beautiful to connect with you here. Thank you for taking the time to look at one of The Women’s School programmes! The Mother of all things is the Guardian of this work and it is a humble privilege to share what I am able to transmit and offer to this field of healing in the world. I work in direct alignment with the Great Mother of all-that-is in all my creations and offerings. In myself and my life I weave a colourful spectrum of personal, cultural influences from my roots, and I deeply know how vital it is to respect each others heritage and traditions. This is sacred in all of us. The Sacred Rose Circles are a grassroots way of bringing ancient female wisdom back into our communities and into our own lives. May your path be filled with grace, growth, epiphanies, blossoming, wisdom, love and a fuelling of your personal passion and deeper soul purpose. It is with great love that I offer these pearls of wisdom to your world. See you on the inside of our online school! May your life be blessed by The Great Mother. I started the Sacred Rose training last December, coming upon it through a series of intense synchronistic moments. This word is key because “synchronicity” is the most apt word to describe my experiences on this journey. Things aligning, paths opening up, it has been a year of feeling 100% like I’m on the right path. I’ve always been drawn to women’s work, being a doula, an artist, a feminist, however holding sacred space for the feminine was new to me and I lacked clear direction. The Women School has given shape to my desire and yearning to move deeper into this work, providing a comprehensive, professional but deeply personal training. 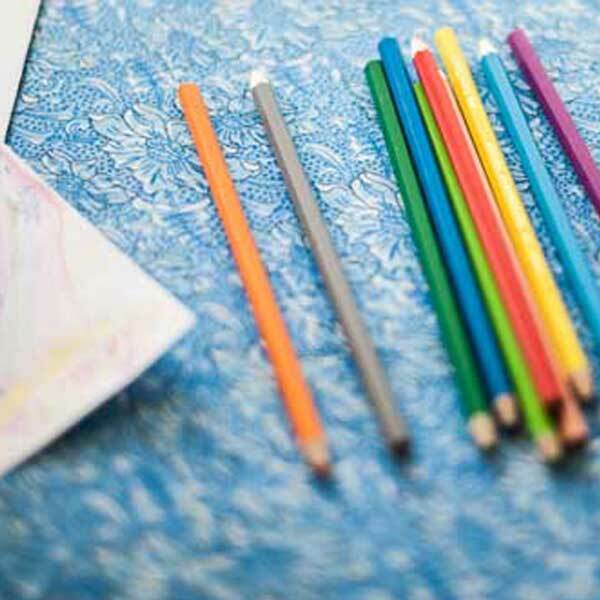 Each module is rich and layered and full of information and wisdom. 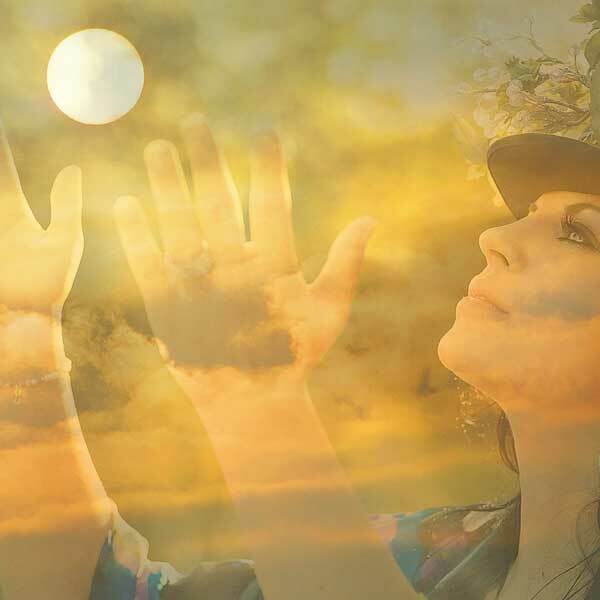 Jaguar’s Sacred Rose Circle Training is a deep dive into the very essence of the Divine Feminine both for yourself as the circle holder, and for the women blessed to attend your circles. This training takes you on the most beautiful journey to the depths of your soul as you explore each topic through deep personal work cradled in the safe hands of Jaguar. Her sessions are so nurturing, insightful, beautiful, supportive, and full of so much heart and love. I felt that I had embodied each circle topic, so could ‘hold’ the space in a deeper place of knowing. On top of the embodiment of the circle topic, the outline she provides gave me the comfort I needed to lead the circle. The meditations she provides for the circle are so beautiful and powerful. I have been able to take my learnings from Jaguar’s Sacred Rose Circle Training into the essence of life, far beyond the time in circle…from creating sacred space, to working with the energies of the moon and my cycle, embodying goddess energies and archetypes, a deeper appreciation and integration of the magic and power of crystals and the chakras, and the precious gift of community. The community of sisters created from a Sacred Rose Circle is like no other – a beautiful sisterhood of the heart. I urge every woman to open their hearts to the sweet Divine scent of the Sacred Rose – allow Jaguar to take you, and the women blessed to attend your circles on a journey to your very essence. I felt called to enroll in the Sacred Rose Circle Training the moment I learned of it. 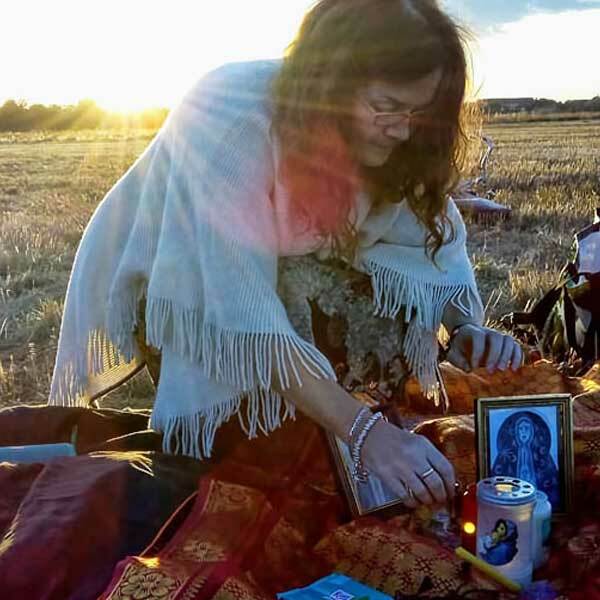 I had worked with Jaguar in individual sessions and knew what a wealth of knowledge for all things Divine Feminine as well as her gifts as a healer. I knew I was to learn more deeply with and from her. The structure of the training allows for global access to the content. The online modules contain a mix of videos, audios, and readings. The online calls with the other women in our training provides an ongoing connection with the participants and a continued depth of learning with one another. The various formats make it easy to stay up with the material and the practices, even with a full schedule. Furthermore, as a facilitator of the circles, we are responsible for embodying the content and integrating it in our own experiences. In doing so, we are better able to facilitate for our participants. This supports me to stay accountable to the practice and learning rather than getting swept away in the day-to-day responsibilities and demands. I appreciate the way each month builds on the last bringing us deeper and deeper in connection to our Divine Feminine. In the circle facilitation with my participants has allowed for a collective energy, holding space for one another as we share our progress each month. This is very special and ineffable. I feel like I’m learning more and more about myself and seeing where this shows up in my day-to-day life as well as how I can start integrating this into my daily life. This is a life-long practice as I shift my way of being to align more with what I’ve learned and even better to know I’m not alone. 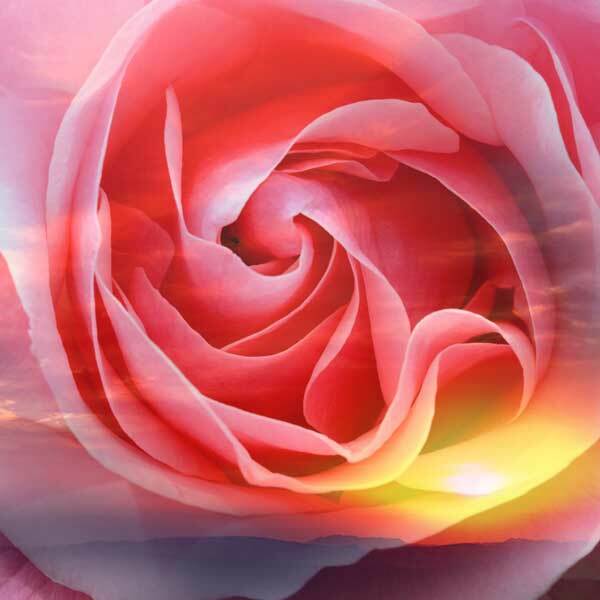 The Sacred Rose Circle Training provides a remembering of who we really are as Divine beings in the world. Prior to starting this training, I knew Jaguar from The Women School in-person courses and I also had several sessions in her clinic. I liked the safe space that she offered and the way she made me confront with myself. It felt so right to take part in the Sacred Rose Initiations Training because I always wanted to work with women and I felt that Jaguar is the right guide with her experience and her attitude towards female work. So, I started the course in January 2017. It was exciting for me. I started to make my first ritual for myself and that was holy and inspiring. The topics were always connected to female spiritual themes and you have every month the time to dive by yourself into the topic. You have things to do during the month, basically it’s about work with yourself around the topic and you finish the process with a women circle that you offer by yourself each month. Jaguar is there as your guide and for the first months, it is about your own developing process. She is guiding you to find your own sacred space that you first find inside yourself. This is a very important part before you can hold space for other women, Jaguar says, and I must admit that she is right with that. Any other way would be irresponsible for both sides. Later the focus shifts toward holding space for others and the topics are becoming more intense. All in all, I can only recommend this wonderful journey with Jaguar and the other women and, most importantly, yourself. I learned so much about myself and I am always surprised about myself with each new topic because I am exploring myself in a very new intense way. Für mich war und ist die Reise mit Jaguar und den Sacred Rose Circles ein tief berührendes, initiierendes, magisches und zauberhaftes Geschenk!! Ich komme kaum hinterher mit auspacken und entdecken! Das Training und die tiefe, liebevolle, klare und wissende Präsenz von Jaguar hat mir unendlich viele Räume weiblichen Seins und Erlebens geöffnet. Durch ihre Anleitung und Impulse habe ich mich mit vielfältigen Themen der weiblichen Seele und Psyche auseinandergesetzt, so vieles neu und anders für mich erforscht und in mein persönliches Leben und meinen eigenen Heilweg integriert. Ich habe meinem Körper für die Erde geöffnet, eine innige Beziehung mit der göttlichen Mutter entwickelt, mich durch Rituale, kreativen Ausdruck, Gesang, Tanz und schriftlicher Reflektion mit der Sonne, dem Mond und den Sternen verbunden, mit Kali getanzt, meinem zarten Herzen und meinem Seelenlied gelauscht und meinen Schoßraum neugierig erforscht. Das Vorbereiten der Sacred Rose Circles hat mich tief eintauchen lassen in die jeweiligen Themen der Module. Es hat mich in meinem Alltag und meinen Träumen begleitet und ich konnte tief in meiner eigenen Geschichte und Weisheit suchen, nach dem, was mich am meisten berührt, was ich schon mitbringe und was meine Motivation und meine Medizin ist, die ich in meinen Frauenkreisen und überhaupt in meinem Leben weitergeben möchte. Diese Reise hat mich weich und tief mit meinem weiblichen Weg hier auf der Erde verbunden und ich spüre so viel Freude, der Erde und all ihren Wesen zu dienen, das Weibliche leidenschaftlich zu lieben und zu ehren und all meine Liebe in meine Circles fliessen zu lassen. Auf das das Weibliche erwacht, sein Wesen erkennt und nährt, das Männliche ehrt und bekräftigt und Frieden wird. Ich bin so unendlich dankbar für meine Begegnung mit Jaguar und kann jeder Frau, die den Ruf spürt, tief in die weibliche Seele einzutauchen und heilsame, magische Frauenräume zu kreieren, dieses Training und diese zauberhafte Frau ans Herz legen. Es ist jetzt Februar und ich habe im Januar den letzten Circle gehalten. Das war mein aller schönster Zirkel mit so viel Weiblichkeit und Kraft, dass ich selber so berührtwar, dass ich weinen musste bei unserem Ritual. Ich wollte mich bei Dir bedanken für Deine Begleitung und Deine wundervolle Kraft. Sie hat mir geholfen, mich in komplett neuen und doch urvertrauten Feldern zu entdecken und meinem waren Ich zu begegnen. Die durch Das Training verbundenene und von Dir begleitete, intensive Auseinandersetzung mit meiner Seele in verbindung mit den weiblichen Themen hat mir mit meiner Krankheit Heilung gebracht, ich konnte mich selber heilen, was für mich ein Wunder ist. Auf dem weg der selbstliebe und selbstvertrauens habe ich immer weiter Vertrauen entwickelt und mich verschiedenen Entwicklungthemen gestellt. Ich habe auch durch die Astrologie, meinen Mondknoten im Zeichen Jungfrau verstanden, dass das Dienende im Sinne der Heilung genau das Richtige für mich und meinen weiteren Lebensweg ist. Ich kann es nicht in Worte fassen, was das für mich bedeutet. Ich wünsche Dir alles Glück dieser Welt, dass sich Deine Arbeit weiter verbreiten kann. Ich danke Dir für alles Vielmals Für Deine wundervolle Energie und fühle mich mit Dir sehr verbunden.